Trinity Bicycles, which helped create Fort Worth’s boomlet in urban cycling, is moving downtown, to a space amid the restaurants, bars, hotels and condos of Sundance Square. 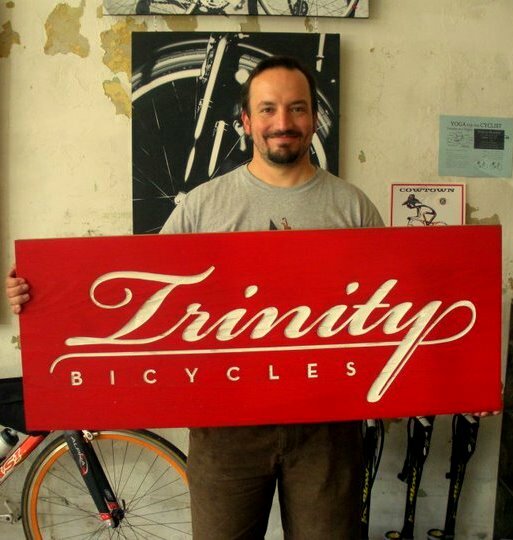 Since April 2010, Trinity Bicycles has operated at 207 S. Main St., just south of downtown in a renovated 1909 building that once housed the Sawyer grocery store. Its new address will be 343 Throckmorton St. Trinity’s owner, Bernie Scheffler, said he expects the store to open in January or February, depending on how quickly the 1,550-square-foot space can be refitted. The Throckmorton Street site, just north of Daddy Jack’s restaurant, is currently vacant. It most recently was occupied by a branch of the now-defunct Washington Mutual Bank. Downtown Fort Worth hasn’t had a bicycle shop since Cromer’s Ace Cycle decamped decades ago to Aledo, west of Fort Worth. It went out of business around 2002. 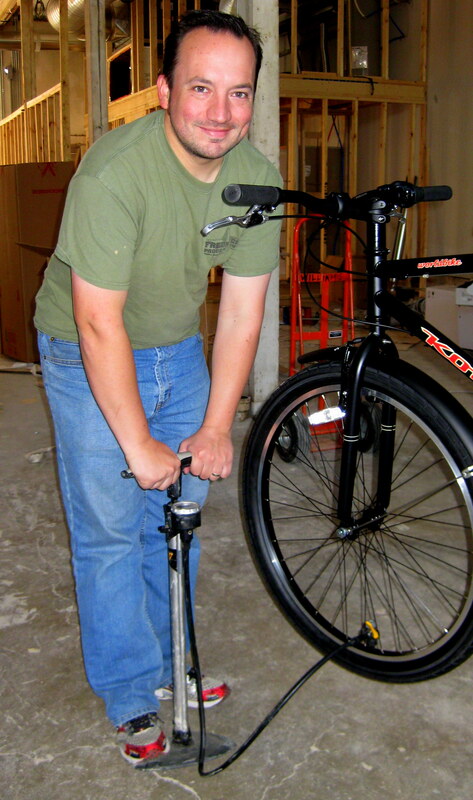 Trinity Bicycles has made a name for itself by promoting bicycle commuting and focusing on practical, durable bikes for riding to work and running errands — such as Dutch commuter cycles and the Kona Ute cargo bike — or for long-distance touring — like the Surly Long Haul Trucker. The shop also carries fenders, racks, quality lighting systems, Brooks saddles, rain gear, bike luggage, and all the other accessories you need to travel by bike. Only two bicycle shops in Texas, Trinity and Mellow Johnny’s in Austin, were fitted with showers for the use of bicycle commuters. Trinity’s current South Main Street location is within a short walk of the T&P Station of the Trinity Railway Express, the commuter line that runs between Fort Worth and Dallas. It’s also on a major bus route into downtown. Scheffler had hoped that a proposed streetcar line along South Main Street, linking downtown with the Medical District on the Near South Side, would spur residential and retail development around his shop in the semi-industrial, sometimes sleepy section of South Main. But the Fort Worth City Council voted Dec. 7 to kill plans for an inner-city streetcar network. For any readers not familiar with Fort Worth, historic Sundance Square is a 35-block commercial, residential, entertainment and retail district in the heart of downtown. It’s named after the outlaw Sundance Kid (Harry Longabaugh), who frequented Fort Worth between train robberies at the turn of the 20th century to carouse and gamble with his gang, the Wild Bunch. Frequently cited as a model of urban redevelopment, Sundance Square is comprised of restaurants, three live theaters, an AMC movie theater, Bass Performance Hall, two museums, three art galleries, numerous retail shops and boutiques, prime office space and upscale residential complexes. I hope it works well for them. For me, it means I better have them do any mechanical work before they move. Close to T&P makes “ride in” service practical. Sundance is not since it is too far from ITC for someone coming from NE Tarrant. Still, for shopping where I’d ride both ways, Sundance is much nicer – and it is close to TCC.